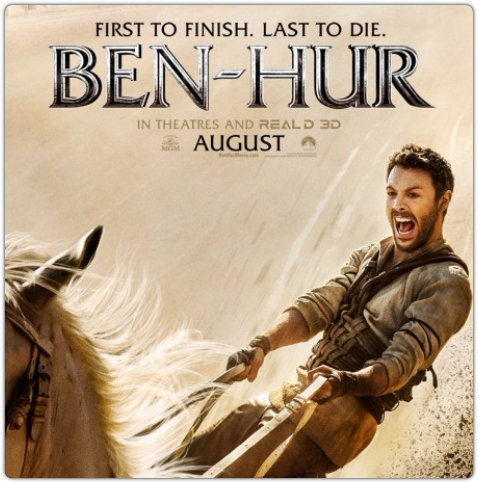 BEN-HUR is the epic story of Judah Ben-Hur, a prince falsely accused of treason by his adopted brother Messala , an officer in the Roman army. Stripped of his title, separated from his family and the woman he loves, Judah is forced into slavery. After years at sea, Judah returns to his homeland to seek revenge, but finds redemption. Based on Lew Wallace’s timeless novel, Ben-Hur: A Tale of the Christ. ​​Offer four tickets for the price of two to encourage your couples to go on double dates with their unchurched friends, building connections to invite them to Sunday services. Encourage your high school and college students to enjoy a group outing followed by a discussion about how they handle injustice, and how Jesus has intersected their lives in meaningful ways.